With the coming of new SharePoint 2013 you have to the option of using the Claims Based Authentication or the classic Windows but you might be wondering how do you change that setting. 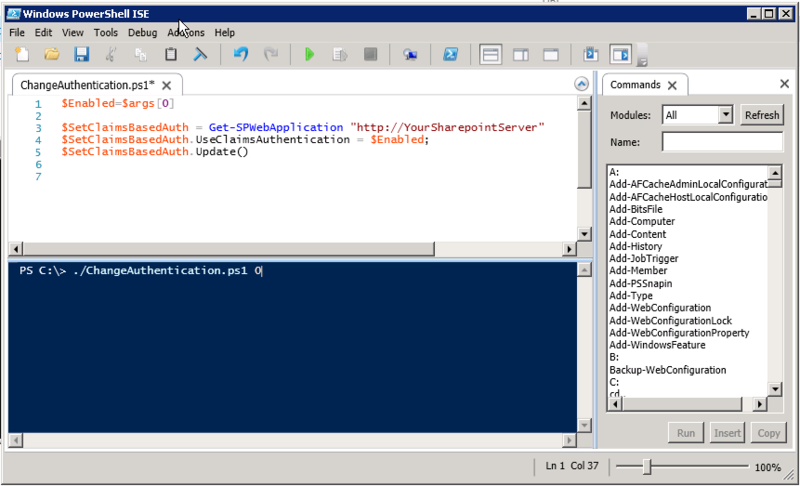 Well you need to do it in SharePoint 2013 Management Shell and here is how its done. 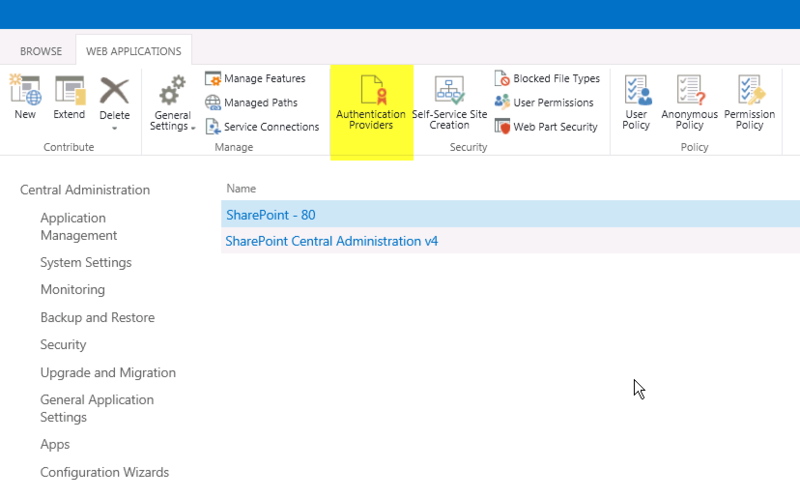 To check the authentication provider you are using you have to go to SharePoint 2013 Central Administration -> Application Management -> Manage Web Applications. Highlight your the SharePoint instance you want to check then click Authentication Providers. It will pop up a window which states your current Authentication Provider. But i can’t open Webapplication after Toggling from Claim’s to Classic, There are no Customization, No Extra Subsites , No Webparts, No Web.config Entries. What m i gonna do now. Is this a new sharepoint instance or a migrated instance? Its a new SharePoint instance and i don have any migrated instance in Sp Farm. @oliver , I hav did some research on this, what i found is in SP2013 it’ll create webapp as claims by default…. if n oly if you are migrating Webapps from SP2010 to SP2013 you have to use above code to switch from classic to claims. yeah you can still create fresh classic instance in SP2013 using commands but switching back from claims to classic doesn’t work as expected.